The south side of Guam is so pretty. This is exactly the view I wanted to show my friends during our trip. This summer I took a very long trip. My trip began with five wonderful women. 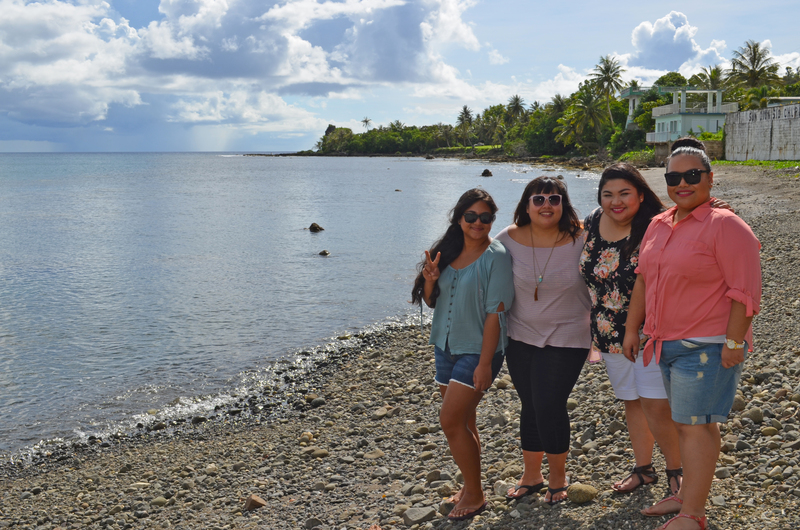 My best friends (in Saipan) and I had planned to meet in Guam and explore the island. I then invited my good friend Kaydee, with whom I’ve worked with at Easter Seals Hawaii. Kaydee has always been interested in Guam and so I told her that there’s no better way to visit Guam than with someone who knows the island! From left to right: Kaydee, Annabelle, me, Janel, Abbey and Cinnabun at Sunday brunch at the Outrigger Guam Resort. I took my friends around the island (which only took a couple hours) and we showed Kaydee what the locals really eat. We visited some local vendors along the road through Inarajan and Umatac and bought some pickled mango, starfruit and tuba. 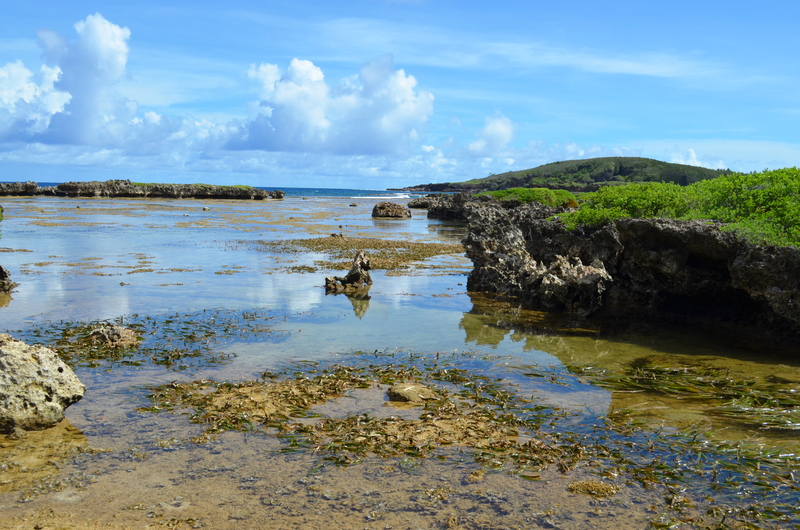 We visited Umatac Bay, where a family was barbequing nearby. It’s not a beach you’d necessarily want to swim at, but it’s a pretty sight. 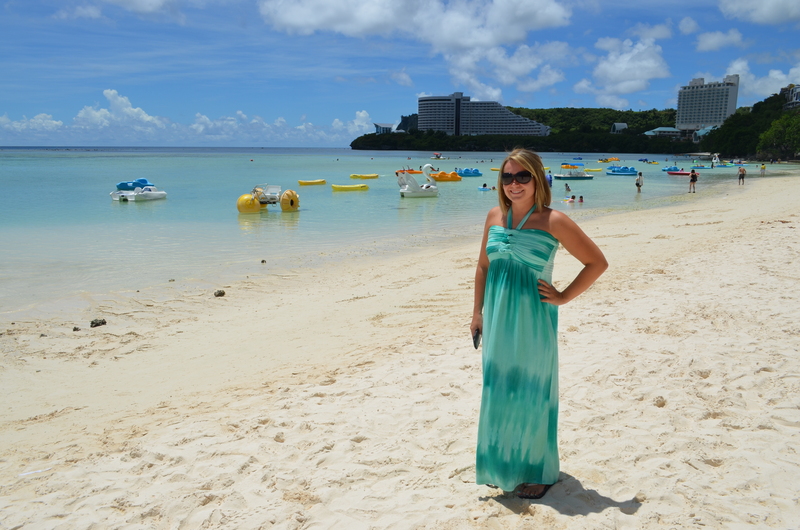 Kaydee enjoyed the calm water in Tumon, right outside the Outrigger Guam Resort. This trip with my friends lasted four hot days. For my besties, they were used to the hot weather so they did some shopping while Kaydee and I tried to cool off with refreshing dips at the resort or at the beach.